At Rytech Indianapolis, we know how frustrating it can be to have water intrusion in your home or business. 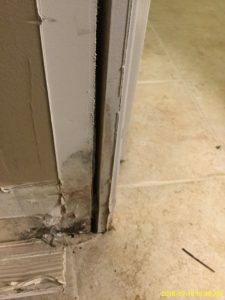 We know the steps to take to rid your home of water and even mold. We have been in business many years and are trusted among the citizens of Indianapolis with their homes and businesses. We excel in providing high quality water damage and mold removal services to homeowners and businesses in the Indianapolis and surrounding areas. It only takes a few hours for the water to cause irreversible damage to your home. As a matter of fact, mold starts to build up. A water and mold specialist in Indianapolis like Rytech can get the job done as quickly as possible. 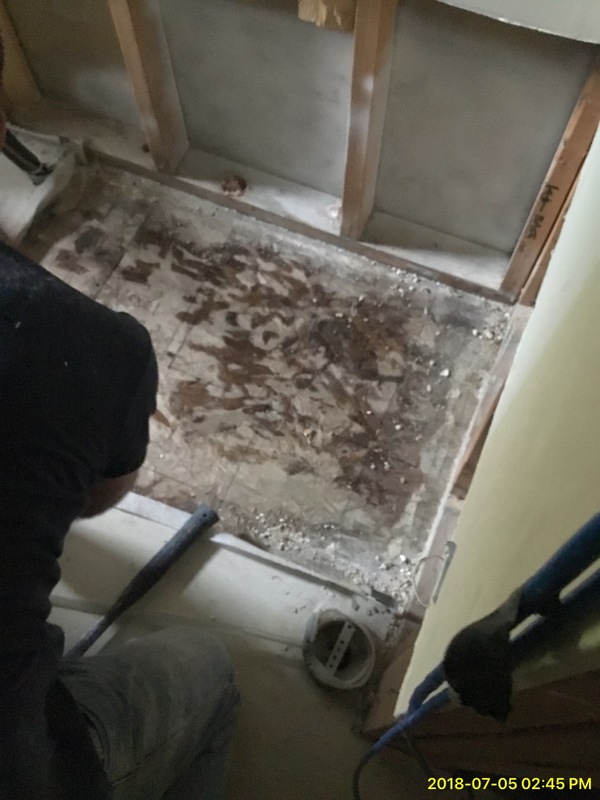 We will remove the water quickly and completely to ensure mold doesn’t result from your water damage. We do the necessary steps to perform proper procedures and prevent the buildup of mold and mildew. Rytech Indianapolis guarantees that the restorative process will not only be done in the quickest possible time, but in the most efficient way possible. We know exactly what to do to get rid of water, remove dirt and mold, and restore the structure of your home. We have teams comprised of professionals who are certified, highly skillful, and have a vast amount of experience handling different types of water restoration, especially in terms of performing mold removal. You can just sit back and relax while the company is taking care of the job for you. You don’t need to do the process on your own. Rytech Indianapolis is just a phone call away. We will provide the best possible service and makes sure that the job will be done in a timely manner. Ken Averitt is the owner and operator of Rytech North Metro Indy. He is IICRC Certified in WRT (Water Damage Restoration Technician), ASD (Applied Structural Damage Technician), and AMRT (Applied Microbial Remediation Technician) and Lead Safe Certified. Prior to owning his Rytech Franchise, Ken spent (27) years in the property claims adjusting industry at NCA Group, a leading service provider for many top carriers. As part of the executive leadership team, Ken’s day-to-day responsibilities included driving service times and quality assurance. Ken’s leadership, attention to detail, and passion for superior customer experiences allowed the company to excel in these areas and helped it grow from a regional to national operation during his tenure. Ken’s attention to detail and commitment to helping others can be found outside of work as well. He is a licensed pilot, enjoys riding motorcycles, flying RC airplanes and an avid gardener. Ken is also dedicated to veteran affairs and is actively involved in many local and national veteran groups. 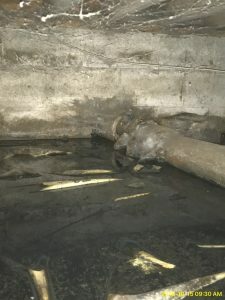 Sewage Or Mold Found in Your Crawl Space? October was a busy month for Rytech Indianapolis! Lots of Hoosiers dealing with surprise sewage and mold issues in their crawl space. Most of us don’t spend much time there, so issues often go undetected until a home inspection is required. 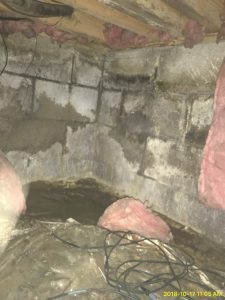 If the crawl space is properly ventilated, most moisture is naturally resolved. So no problems arise. If sewage leaks from a broken pipe, or water seeps through the foundation walls, even the well-ventilated crawl space will need to be properly treated to prevent mold damage. These photos are from two of our recent job sites. The problem was discovered by a home inspector. This is common, because it can take some time for these issues to cause symptoms in the main area of the home. Have you discovered mold or sewage in your crawl space? Call us at (317) 203-9044 to schedule an assessment appointment. We will honestly advise you on the best way to restore your property. Considering purchasing a property? Read this article for tips on how to spot water damage when buying a home. 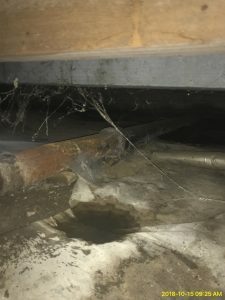 The post Sewage Or Mold Found in Your Crawl Space? 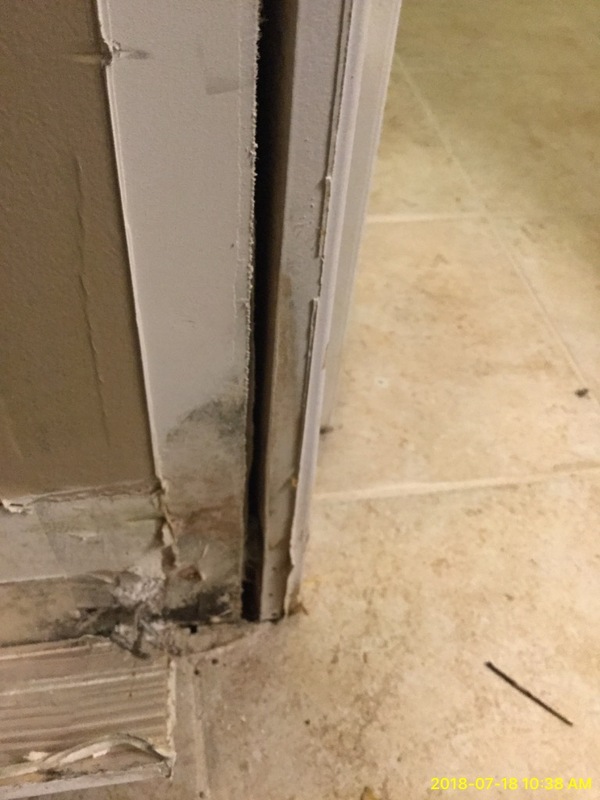 appeared first on Rytech Inc.
Water And Mold Damage From Your HVAC System? Summer heat hasn’t skipped Indiana this year. 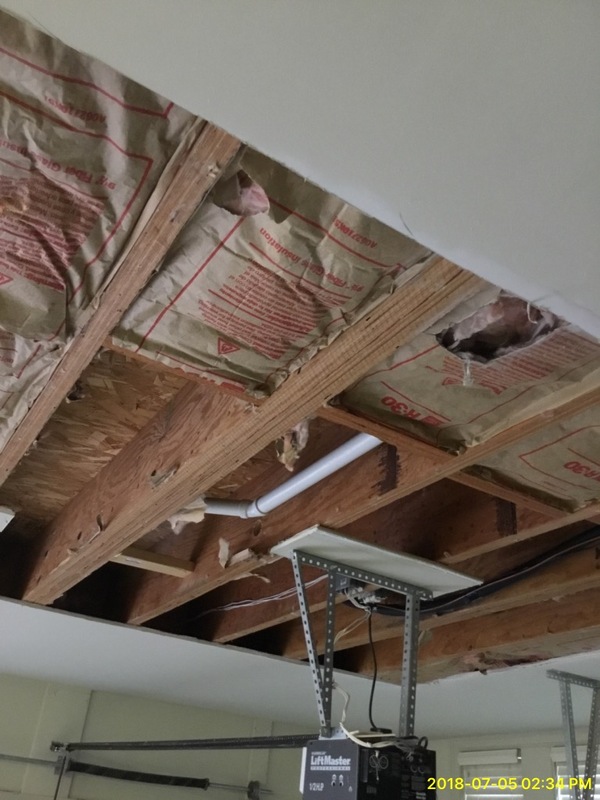 We’ve been busy helping Hoosiers deal with a little-known cause of water damage and mold, water leaks from their HVAC system. Those who live in Indy, know that the humidity can be unbearable. Few realize that their HVAC system can pull up to 20 gallons of moisture from the air inside their home on a humid day. 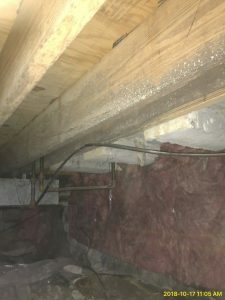 These photos are from two job sites, where the HVAC system had been leaking for some time before the homeowner realized it was happening. This is common, given that most of our systems are crammed in spaces we rarely use every day. 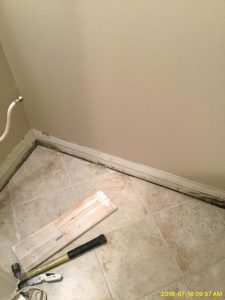 Sometimes, we aren’t aware of the problem until there are signs of water damage to adjacent drywall or flooring materials. 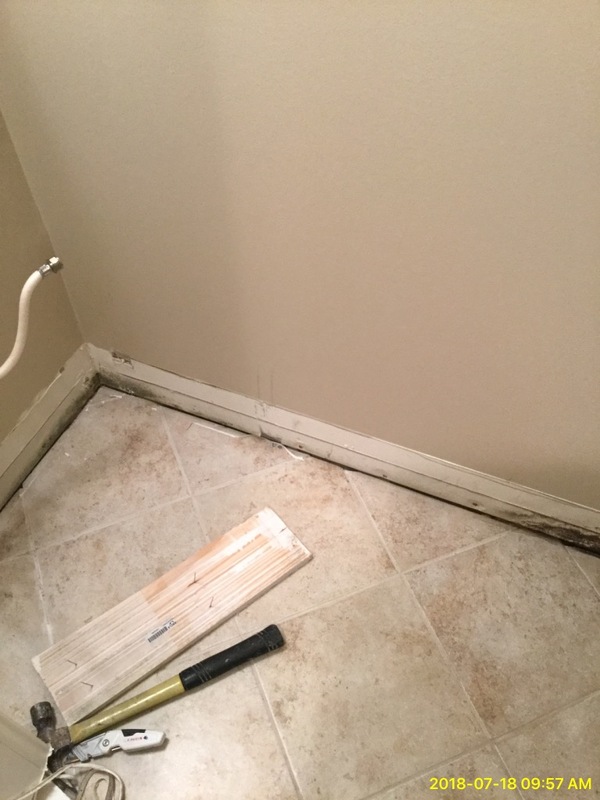 Have you discovered mold or water damage to your property from an HVAC water leak? Call us at (317) 203-9044 to schedule an assessment appointment. We will work with your insurance company, and honestly advise you on the best way to restore your property. The post Water And Mold Damage From Your HVAC System? appeared first on Rytech Inc.